1. Sometimes I see the movie first and then I don’t care to read the book. This might be because I didn’t think the movie was very good, so why would I invest the time into the book? Or, now the lack of suspense just makes it something I no longer care to read. I know what happens – why bother reading the same story twice?! 2. Sometimes I read other books by the author and realize I don’t really care for their work. For instance, I know John Green has a big following, but I just can’t get over how pretentious and boring most of his books are. Read more about my thoughts here! Even though I added Looking For Alaska to my TBR because it is consistently on best-book lists (even making it onto the PBS The Great American Read program), I refuse to read it since I didn’t like An Abundance of Katherines or Paper Towns. 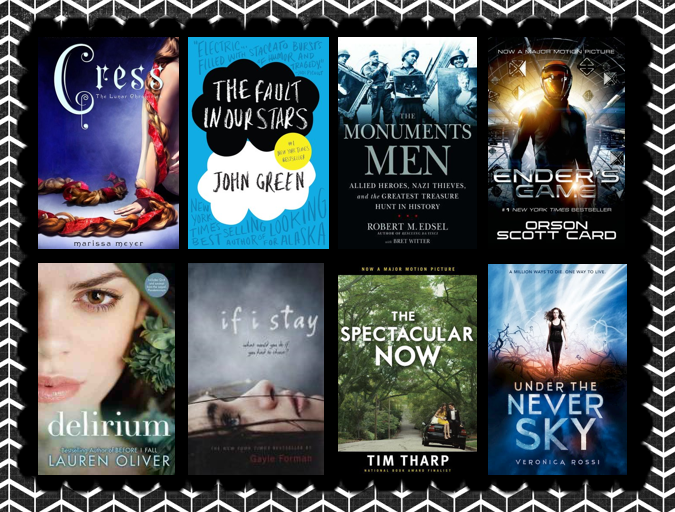 The Fault in our Stars is bearable, but I can pick out a lot of other YA books that I enjoy more. 3. Sometimes I’m worried reading another book by a beloved author will ruin the series/author for me. I’ve read To Kill a Mockingbird numerous times, and even taught it in the years I spent teaching high school English, but I’m scared to pick up Go Set a Watchman. I’ve heard that Atticus is not as virtuous as he is in TKAM. The circumstances regarding how the book became published when Harper Lee was 88 never sat well with me, either. Did she really want the book read or was she taken advantage of? Another book like this is J.K. Rowling’s Harry Potter and the Cursed Child. I adore the Harry Potter series and I don’t want to tarnish it. Cursed Child has had very mixed reviews, and since Potterheads worship J.K. Rowling, I know the work has to be pretty rough to not earn their praise! 4. Sometimes I read the first book in the series and wasn’t captivated enough to pursue the rest of the series…but if I come across it someday, maybe I’ll pick it up. 5. Sometimes it’s a classic or a book with a lot of hype that I feel I’m supposed to have read…but I’m not really interested. I’ll get to it later. How about you? Are you strict with your TBR list, or do you give yourself wiggle room? As you can see, it’s an interesting mix of new and old; YA and adult; fantasy, sci-fi, and general fiction. 1. Catherine by April Lindner: I thoroughly enjoyed Lindner’s first novel, Jane, which was a modern-day retelling of Jane Eyre. I hadn’t even realized she had another novel out, so I’m most excited to read this book. It’s a retelling of Wuthering Heights. 2. The Here and Now by Ann Brashares: Back in the day, I was a fan of Brashare’s Sisterhood of the Traveling Pants novels, so I’m hoping I’ll like this novel as well. Goodreads describes the novel as “An unforgettable epic romantic thriller,” so the style is going to be very different than her previous novels. 3. Dorothy Must Die by Danielle Paige: I saw this novel on blogs and book lists and was curious about it. I’ve watched The Wizard of Oz, read Wicked, and saw the musical, so I’m interested to see where Paige takes the classic story. 4. The Magic Room by Jeffrey Zaslow: This book was recently recommended to me, and I’m anxious to read it—especially because it was in the non-fiction section of the library. I don’t venture there very often! The book is about a family owned small-town bridal shop and the women who come into the shop to purchase their wedding gowns. What books are you excited to read next?